Most of my connections with guitarists have been formed around my lattice model guitar. This guitar is the centerpiece of my daily work, and it will continue to be so. Whilst I continue improving this model, I'm introducing new guitar models and concepts, some of which have materialized and others that remain in the idea stage. 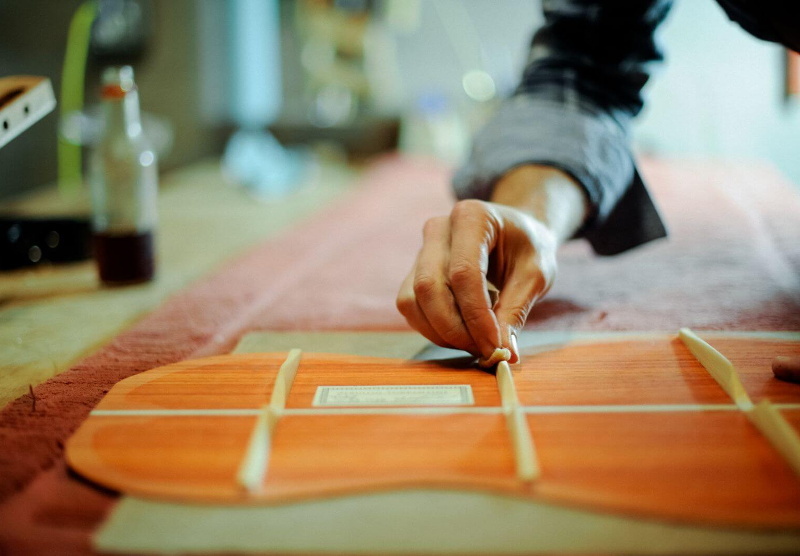 Every guitar begins with handling the materials involved and forming a mental picture of the guitar they are to create. Throughout the building process, I am continually placing this vision within the context of a set of numerical parameters that always represent my latest understanding of how the ideal guitar can be quantified. 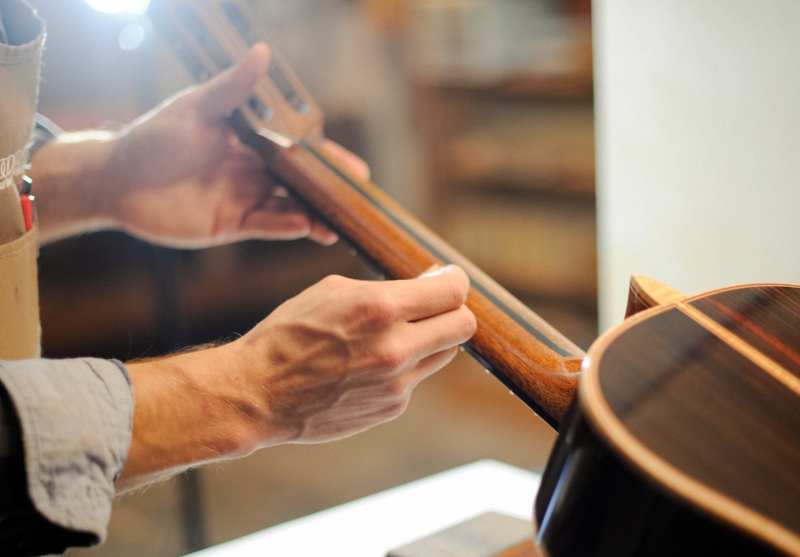 Providing various repair services to classical guitar players and collectors has proved both a great way to make new friends and a great way to learn about the various problems that arise within a guitar's lifetime. Whether it's normal ware and tear, neglect, or luthier error, guitar repair imparts unique and vital lessons. A friend once told me, "Zeb, you don't choose the classical guitar. It chooses you." 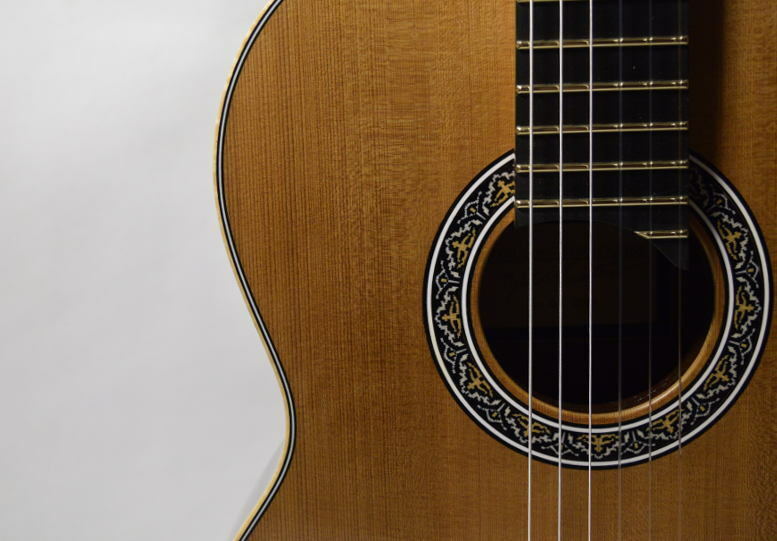 I've asked many classical guitar players and aficionados what first drew them to the classical guitar and there are almost always two distinct answers. It was either a sound that enraptured them, or their fascination with the technical challenge of creating that music. Both answers lay the foundational challenge of luthiery - the pursuit of a technical and musical ideal - creating a reliable and inspiring instrument that meets the demands of a market that is comparably small, competitive and traditionalist. Here you will find guitars available for sale from a dealer, a former customer, or myself. I recommend spending ample time with an instrument before purchasing, and I extend the same one week trial period that I offer to those on my order list. Like what you see? Let's talk. I'm happy to answer whatever questions you might have.